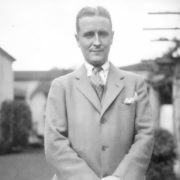 Francis Scott Fitzgerald was an American writer, the leading representative of the so-called “lost generation” in the literature. 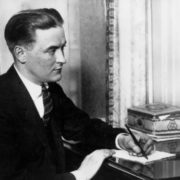 He is famous for his novel The Great Gatsby published in 1925 as well as a number of novels and short stories about the American “jazz era” of the 1920s. The term “jazz era” or the “Jazz Age” was coined by Fitzgerald and designated period of American history since the end of the First World War to the Great Depression of the 1930s. 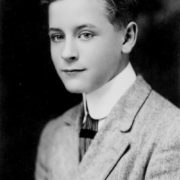 Francis Scott Key Fitzgerald was born on September 24, 1896 in St. Paul, Minnesota in a wealthy Irish Catholic family. Before his birth, the family lost two children, so Francis Scott was a welcome child. He was named in honor of Francis Scott Key (1779-1843), a very distant cousin of the father, the author of the text of the US national anthem, The Star Spangled Banner. Francis studied at the Academy of St. Paul (1908-1910), Newman School (1911-1913) and at Princeton University (1913-1917). During his studies at Princeton Fitzgerald played in college football team, wrote stories and plays, which often won university competitions. By that time he had a dream of becoming a writer and author of the musical comedies. 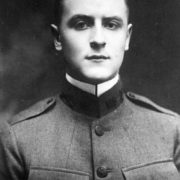 In 1917, shortly before the final exams, Fitzgerald went to the army as a volunteer. 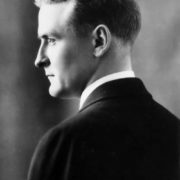 In 1919, Fitzgerald was discharged from the army and for some time he worked as an advertising agent in New York. Even during his military service he met Zelda Sayre, who came from a wealthy and respectable family (she was the daughter of Alabama judge). Later Zelda was repeatedly called “brilliant heroines of his novels prototype”. At first Sayre family was against their marriage. 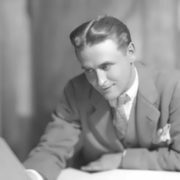 At that time, Fitzgerald did not have a permanent job and a steady income. The only chance to marry Zelda turned literary success. 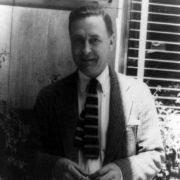 Fitzgerald went to New York, where he became a literary assistant at the advertising agency. He kept trying to achieve literary recognition, and wrote short stories, plays and poems. His first literary efforts were unsuccessful. Fitzgerald started drinking, quit his job and had to return to his parents. In his parents’ house Fitzgerald rewrote the novel Romantic Egoist. This novel was published on March 26, 1920 titled This Side of Paradise. It brought him success. On April 3, 1920 the writer married Zelda, who became the prototype of the main heroine of the novel. The popularity of the novel opened the way to the world of great literature: his works were published in prestigious magazines and newspapers including Scribner’s Magazine and The Saturday Evening Post. 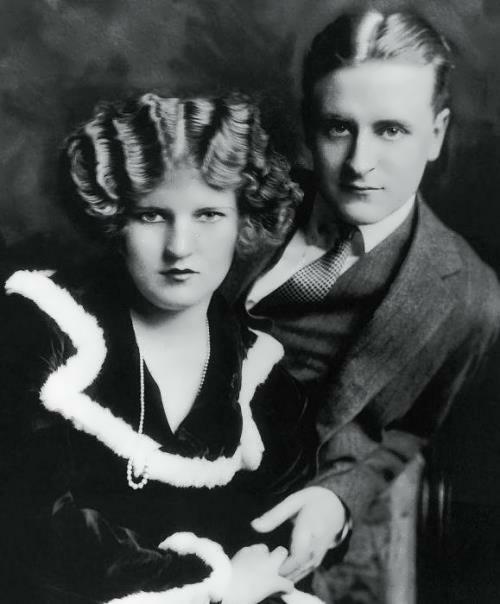 Soon, Fitzgerald and Zelda became known as the king and queen of their generation. In 1922, Fitzgerald bought a mansion in Manhattan, built four years earlier in a Mediterranean style. He and his wife lived there for two years, until the departure to Europe. 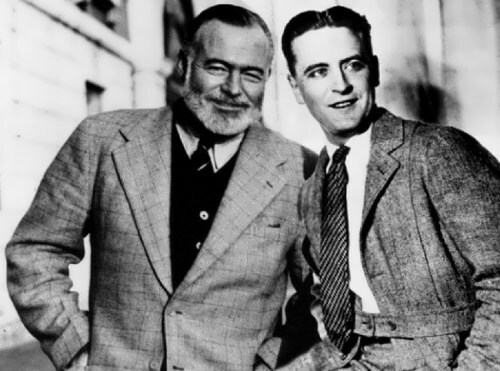 The writer began his work on the novel The Great Gatsby and wrote three chapters there. After the publication of the first novel Fitzgerald became one of the main characters of the gossip. Scott and Zelda enjoyed their rich life. Scott was one of the highest paid writers of the “glossy” magazines. 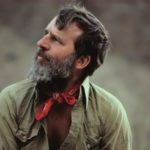 He published some 160 magazine stories in his lifetime, an extraordinarily high number by any count. 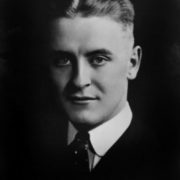 Fitzgerald was famous for both his works and luxury lifestyle. 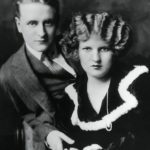 Fitzgerald’s second novel The Beautiful and Damned was published in 1922, describing the painful marriage of two talented and attractive representatives of artistic bohemia. Tales of the Jazz Age, a collection of short stories, was soon published. 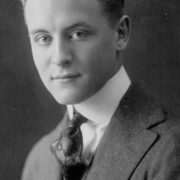 In 1924, Fitzgerald went to Europe, first to Italy and then to France. While living in Paris, he met Ernest Hemingway. 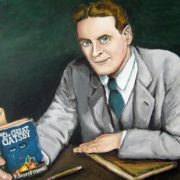 In Paris Fitzgerald published The Great Gatsby (1925) – a novel that is considered a masterpiece of American literature of the period, the symbol of “jazz era”. In 1926 he published a collection of short stories All the Sad Young Men. However, the following years were very hard. His wife Zelda went mad. Fitzgerald had a painful crisis and began drinking heavily. In 1934 he published largely autobiographical novel Tender is the Night, where he described his pain, the battle for the preservation of marriage and the opposite side of their luxurious life. 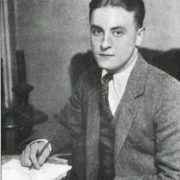 In 1937, Fitzgerald decided to become a screenwriter in Hollywood. There he met the company of the young writers – Donald Ogden Stewart, Dorothy Parker, Robert Benchley, Sidney Joseph Perelman, Nathanael West. He met Sheila Graham and fell in love with her. The last years of his life Fitzgerald lived with Sheila. In October 1939, Fitzgerald began to write a novel about the life of Hollywood – The Last Tycoon, which remained unfinished. During the three years of his life in Hollywood, he also wrote a series of stories and articles, mostly autobiographical, published after his death in the book The Crack-Up (1945). Shortly before his death Fitzgerald compared himself with a cracked plate in an autobiographical article in Esquire magazine. 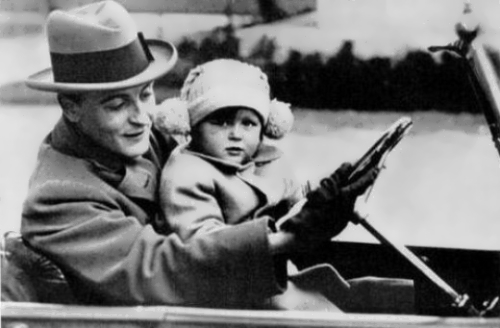 F. Scott Fitzgerald died of a heart attack on December 21, 1940 in Hollywood, California. He was 44 years old. 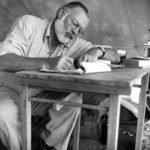 In 1950, Ernest Hemingway wrote an autobiographical book, A Moveable Feast, where he devoted many pages to Fitzgerald. 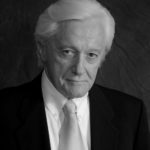 In 1999 Scott Donaldson published the book Hemingway vs. Fitzgerald. The Rise and Fall of a Literary Friendship. 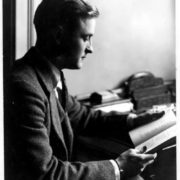 F. Scott Fitzgerald is recognized as a classic of American literature. 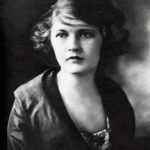 Frances Scott ‘Scottie’ Fitzgerald, the only daughter of the writer and his wife Zelda, was born in 1921 in St. Paul, Minnesota. The girl became a writer, a journalist, who wrote for Washington Post and The New Yorker, and was a very prominent member of the US Democratic Party. Together with her first husband Samuel Jackson Lanahan Scottie was a very popular presenter in Washington in the 1950s and 1960s. At that time, she wrote several very popular musical comedies, and her show Onward and Upward with the Arts was staged on Broadway. The couple had four children. The eldest Tim committed suicide at the age of 27. Eleanor Lanahan, known as Bobbie became an artist and writer, author of the biographical book Scottie, The Daughter of . . . : The Life of Frances Scott Fitzgerald Lanahan Smith, published in 1995, after the death of Scottie. After her divorce from Jack Scottie married Grove Smith, but they divorced in 1979. 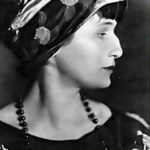 Later, she moved to her mother’s hometown – Montgomery, Alabama and became meaningful and desirable figure in the Montgomery public life. 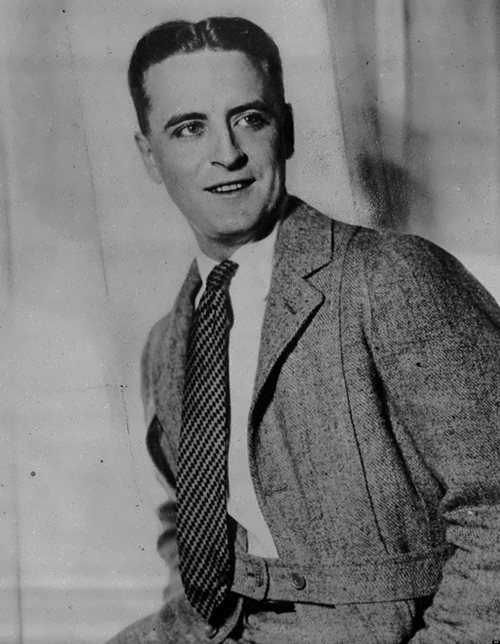 Scottie Fitzgerald, died at the age of 64, on June 16, 1986. In 1992 her name was inducted into Alabama Women’s Hall of Fame.